Jeff, have you had the pump in white water yet? callingalltheshots wrote: How many degrees of trim are in the nozzle? The 912 has 12 Deg of up trim and 12 Deg of down trim using the base of the jet intake as the reference. Therefore, the zero Deg trim position is with the trim nozzle set parallel to the jet intake base. wooldridge1 wrote: Jeff, have you had the pump in white water yet? Yes we did and it works extremely well ! Here is a video of some cavitation testing done on the 912. Well, actually there was NO cavitation! Didn't manage to get it up on to the plane! Why? Trim Nozzle in the up position from some previous testing. We did manage to lift this load. Video to come. Regarding the first test data posted. With 8 barrels full and planing out at 28 mph...How many seconds did that take? Fishbucket wrote: Regarding the first test data posted. With 8 barrels full and planing out at 28 mph...How many seconds did that take? We didn't record the exact figure. However, we believe it was in the 4 to 6 second range. OutKast 24ft with fuel Injected 499 Max Wedge Mopar, and a happy owner of a Scott 912. Trim nozzle in correct position. Keep an eye out as I hope to post up a New Zealand build that uses the same 9.1" WaterJet/LSA combination in a 4.7 m Scott Performance River Boat. I volunteer my valuable time to take Jeff's boat for river trials in moving water and white water. I will need a drone and it's operator for documentation purposes. This woiuld be a huge sacrifice for the jet boat community, but I will endure this burden with grit and not complain too much. 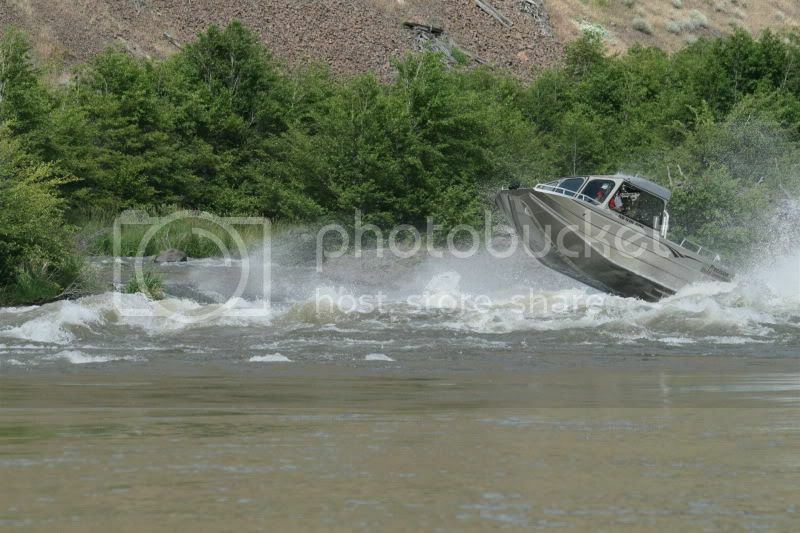 I would further propose launch site be Hells Canyon dam and travel down river to the salmon and back. Nice vids, boat sounds great. Sweet rock gaurd on the trailer at the end of the second video. Well on quick vote I will second that. When are WE leaving ? Eagle1 wrote: Well on quick vote I will second that. When are WE leaving ? Give me a call ! wow I missed a lot while I was away. Awesome! Very Nice. So the new scott bolts up to a 212/213 billet intake? How is steering done? Eagle1 wrote: Very Nice. So the new scott bolts up to a 212/213 billet intake? How is steering done? The 912 bolts into the Jet block used by the 212. You will see the steering control shaft and crank at about 2:40 in the walk round video. Thanks for the questions.